Looking for some style inspo? Our influencers have got you covered from the perfect BBQ outfit to classic World Cup fan gear. Whatever your style, ride the heatwave with the hottest fits! Staying in the shade; Paul takes to the street in his Fila sweats! It’s all about the cool tones when you want to step out of the sun. Pairing his colour block Fila sweatshirt with the classic Fleece pants! Can’t beat comfy evenings – cop now at JDNOW! Insta babe Natalie is hitting the blocks in Puma Defy – takin’ her from workout to day out! These kicks can be paired with any look but she’s styled them up with a bold, yellow and blue PUMA set from the latest, JD-exclusive Collegic collection. Best way to stay out of the shade? Try the colour game with the whole look available online! Try something new they said! Joe takes our new brand STATUS to the streets! Now, that looks like a whole new level of comfort. With an off duty look, this outfit is perfect for the evenings. 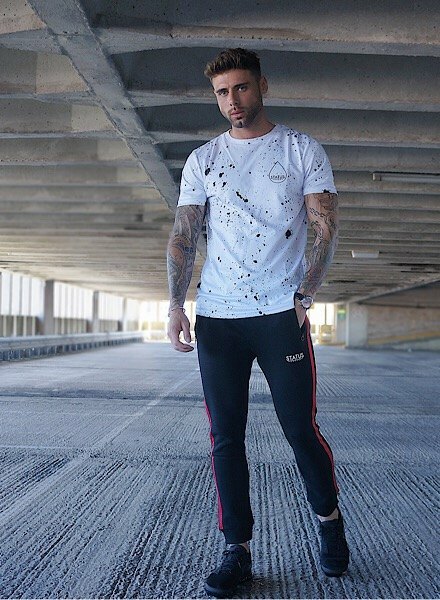 Joe pairs the Ink T-shirt with the Mock Fleece Joggers – effortlessly simple for your everyday look. Inspired? Shop the entire collection. Did you really think we’d forgot about the World Cup? Well here’s a lady who loves football and knows how to gear up. Playin’ with layering, Alisha doubles up with a high-neck tee and her personalised England Home Shirt. Like her look? Style up your own shirt your own way. 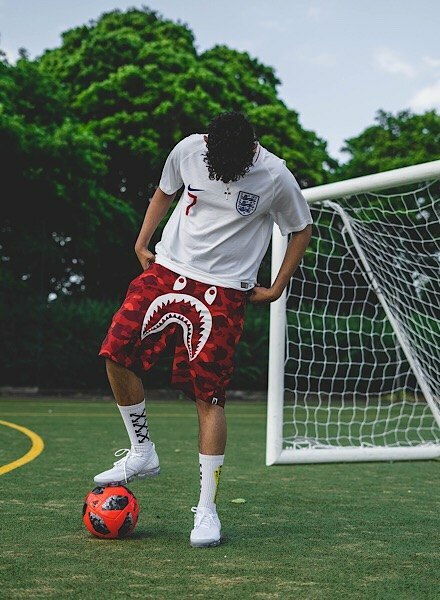 For the pitch or the streets, take inspo from our boy, Ishan, who’s rocking’ his personalised England Home Shirt with some red camo shorts and the icey cool Nike Air VaporMax Flyknits. It can look as simple as that if you want it to!